We Supply and Install Magnetic and Writable walls using Unique Paint, Plaster and Vinyl products. 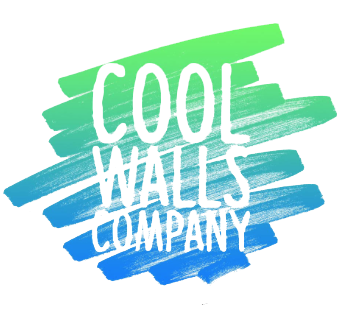 Welcome to the Cool Walls Company. We supply and install the coolest magnetic, writable, paint, plaster and vinyl products. Offering everything from magnetic plaster to projection writable wall coverings to write on, wipe off paints. White boards and flip charts are a thing of the past which do not offer the creative freedom of dry erase products. By using products which incorporate plaster and magnetic magic over painting with products which offer dry erase features we can create seamless magnetic write on, wipe off surfaces. Through these types of Cool Walls installations you eliminate the need of blue tack and pins which damage walls and finishes leaving unsightly and untidy environments. Take your new Cool Wall(s) one step further, use digital markers and app’s to expand your creativity online and collaborate beyond your physical environment. We do not supply products which we have not tested and installed, we would never sell a product that we wouldn’t use ourselves. By carefully researching and selecting products which are the best on the market we can ensure that all the products we offer come with extensive guarantees. Further information upon request. We install all of the products we sell and our professional installation team will ensure that the right technical knowhow and techniques are applied during the installation to ensure a perfect finish. The product is only as good as it’s installation and without a professional installation guarantees become limited. We know that you’ll want to get the most out of your Cool Wall which is why we not only offer additional aftercare products from correct markers and cleaners to correct magnets and pen holders. We can also provide a monthly/quarterly professional clean and maintain service. Feel Inspired? Explore Our Products Here! Cool Walls are allowing work-place collaboration on a whole new level! Our professional installers will take any surface or space, carry out any preparation needed and apply any product from vinyl magnetic products through to painted surfaces. From board room to meeting room, entrance to canteen, Cool Walls allow for creativity throughout the Work Place environment where every wall or surface can bring ideas and concepts to life in real time. Engaging, Fun, Collaborative, Technology, 360 Work Environment, Freedom. With Cool Walls Education becomes engaging and fun. Teachers and Tutors can quickly and easily see which children are grasping concepts and the Students love using them because they’re fun. Whether being used for whole group instruction or small guided groups and learning centres, there is never a worry of technology failing when it’s needed most and no learning curve or advanced preparation just write on and wipe off. With the benefit of Cool Walls which can reach from floor to ceiling, any student however tall or short, active or even disabled can collaborate. Using Cool Walls Collaborative, technology whilst still not loosing the fundamentals of writing and drawing, desks used as white boards, magnetic ‘all’ walls for 360 classroom collaboration. Bounce app to share in-class work as part of home work and reference. Giving freedom to educate and work where, how and when whether in the classroom or at home. Our dry erase products can be as easily integrated into the home as they are a work space. Creative space that’s not only pretty but fun for children and parents alike. Get creative, engage, get organised, transform walls and surfaces the possibilities are endless. …and don’t forget a dry erase space doesn’t have to be white, keep your colours and we’ll paint over in clear.